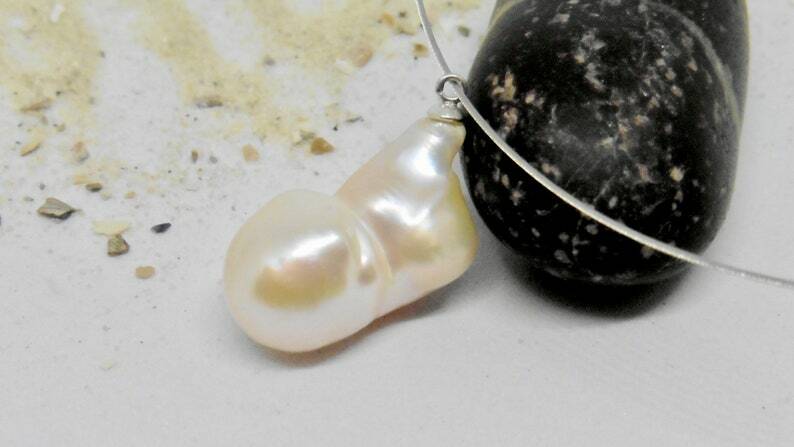 - very large drop-shaped pearl 13 x 25 mm with a 925 Sterling silver hanger. You can choose whether you want to buy this pendant with silver wire or silver chain. With the order you receive exactly this pearl. The photo can hardly express its beauty. The surface of the entire baroque pearl is largely flawless with very high gloss. The pearl is of course only drilled from above. As you wish I deliver the pearl with a simple tender silver chain in 45 cm length or with a silver wire coated with silicone. 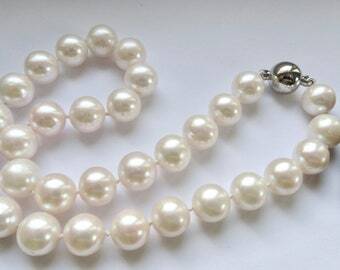 The colour of this pearl is white-ivory with a wonderful silk sheen. Size approx. 13 x 25 mm.